This home is located in Phase III in Sun City. 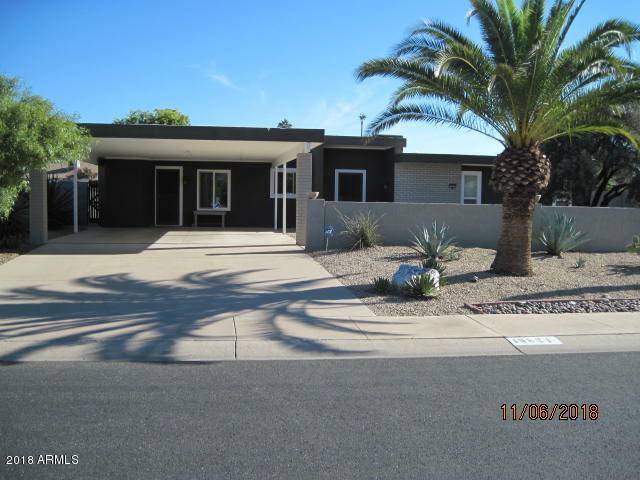 This home sits on a large quiet street with fantastic covered patio with pavers. The patio misters will feel great on those summer days. Inside you will find a well maintained home with two large bedrooms and 1.75 bathrooms. Master bedroom has a walk-in closet. Updated Trane AC. Updated patio sliders with Milgard. Recoated the Roof Nov 2018, Owner recently installed a gas fire pit. Enjoy the 55+ living in Sun City where you can enjoy all the amenities. Won't have to do anything but move in and enjoy.